A purpose-built datacenter at Jurong West Singapore that is TVRA compliant, UTI Tier III and Tier IV certified facility, our Singapore Server Colocation Hosting ensures that you get the best mix of security and reliability for your servers. Our racks are measured 600mm (W) x 1200mm (D) x 47U which give ample of comfortable working space. The front and rear honeycomb perforated metal doors ensure good ventilation with cold air flow entering from the front aisle while warm air leaving behind. Our racks are fed from redundant power sources (A+B) to maximise power reliability. Additionally, the datacenter is fed from two separated power substations, ensuring your hardware shall run 24x7x365. Needless to say, the typical N+1 Uninterrupted Power Supply (UPS) and diesel generators are available too. Make the most out of SecureAX's established network within the South East Asia region, where extensive peering and high quality multihomed bandwidth backed by up to 99.9% Network SLA is available. Need help moving your hardware from your server room or existing datacenter? Don't worry, we will be happy to help you!. Contact us to find out more! Where is the location of your datacenter? What are the certifications at your datacenter? Our datacenter had been certified with Threat, Vulnerability, Risk Assessment (TVRA), MEF 2.0, Tier III & Tier IV, BCA-IMDA Greenmark Platinum, Information Security Management System ISO27001:2013, Multi Tier Cloud Security SS584, to name a few. How many visits can I make to the datacenter? 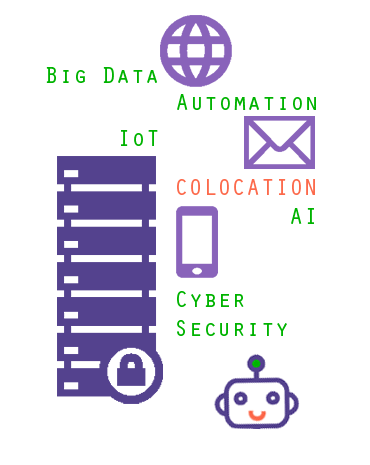 Why SecureAX Singapore Server Colocation Hosting?